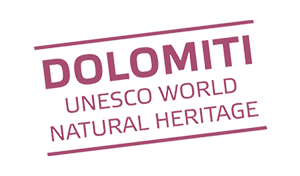 The Dolomites are the pride of South Tyrol and belong to the UNESCO World Natural Heritage. Our trail in Puez-Geisler Natural Park offers you a wonderful access to the world of the “pale mountains”. First-hand information can be obtained from the visit centre in St. Magdalena, which presents several spectacular exhibitions about all aspects of the Dolomites. The museum has a number of extraordinary mineral finds, which also fascinate laymen. Famous are the Teis’ spheres – geodes of about 20 centimetres in diameter, which are filled with precious stones. The charming little town with its many medieval houses, the pretty parish church and the nearby Säben monastery represents the entrance to the Villnöss valley and is always worth a trip. Our local parish church of St. Peter and Paul, the parish church in Teis, St. Jakob am Joch and other beautiful sacred buildings in the Villnöss valley are an expression of piety and artistry in South Tyrol. This former hunting lodge does not impress only because of its magnificent frescoes from the 17th century. You will find it at the end of the Villnöss valley at the bottom of the Geisler peaks. By the way: With the Dolomiti Mobilcard you can visit these and other sites in the Villnöss valley free of charge by public transport! “The mountain cooks” is the motto of a culinary festivity, which is organized by ten inn keepers from the Villnöss valley in the spring, who surely meet your tastes. Every October, in our neighbouring town, you can sample the traditional speck in all delicious versions and be part of the election of the speck queen. In the same month in Teis, a large farmers’ market with folk music, South Tyrolean specialties and products of regional handicraft art await you. Good music, a lot of fun and of course great dressed-up cows are the focus of this folk festival, where the return of the cattle into the barn is celebrated. The undoubtedly most famous event of our region is the mountain glow that glimmers the Geisler peaks from the end of August till the beginning of October. This visual enjoyment is offered free to door to our guests!